About Us – Welcome to Katie's Krops ! My name is Katie Stagliano, and this is the story of how my dream to grow a healthy end to hunger began. In 2008, when I was in the third grade, I received a cabbage seedling from the Bonnie Plants Third Grade Cabbage Program. My brother and I planted my seedling in a sunny corner of my backyard. I cared for my cabbage and watched it grow, and grow, and grow. One day our neighbor shared that deer had been spotted in our neighborhood. I panicked. I wanted to make sure my cabbage would not be a deer’s late night snack. My grandfather and I took action. We built a cage around my cabbage. Four wooden posts, one in every corner with chicken wire spread from one corner to another. It looked crazy, but it worked. No deer ate my cabbage. I knew my cabbage was special and it needed to find a special home. My father reminded my brother and I often that we were blessed to sit down to a healthy meal every night. There were many families who struggled with hunger. One night at the dinner table it came to me, I knew what I needed to do with my cabbage. I wanted to share it with families struggling with hunger. My mom contacted Fields to Families, a local organization that assists farmers in donating extra crops from their fields to organizations that feed the hungry. They recommended I donate my cabbage Tri-County Family Ministries, a local soup kitchen in North Charleston, South Carolina. 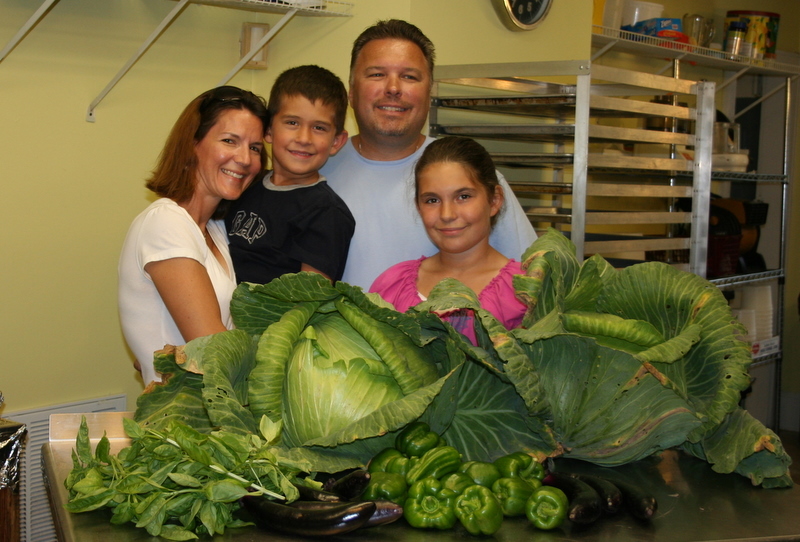 In May of 2008, with a saw in hand, my family and I headed to my backyard to harvest my cabbage. Try as we might, my brother and I could not lift the cabbage that we just sawed off the stalk. With my father’s assistance, we transported the cabbage from the garden to our truck where my life-changing journey would begin. When I arrived at Tri-County with my family, I saw a long line of people waiting for what might be the only meal they would have that day. Everyone was so friendly and welcoming. Ms. Sue, the Director, introduced me to the staff and suggested that we weigh my cabbage. The cook placed my enormous cabbage on the kitchen scale and watched the numbers tick up until it landed on 40 pounds! 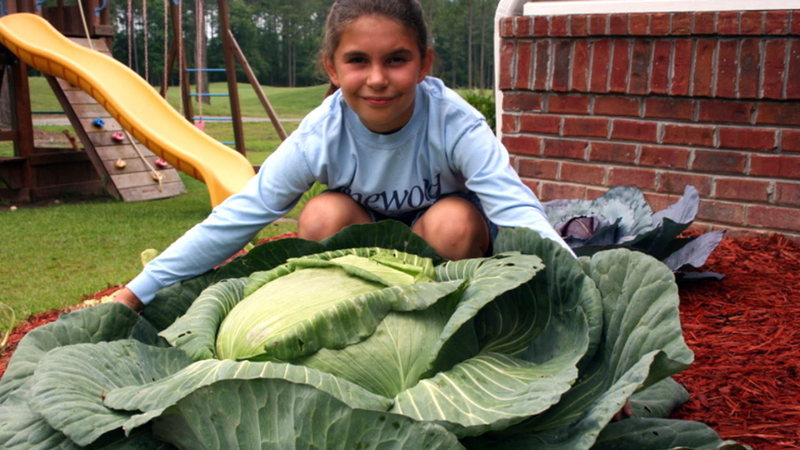 I, at just nine-years-old, had grown a 40-pound cabbage. My Sue then invited me back the following day to serve my cabbage to the guests of the soup kitchen. My parents happily agreed. I had the honor of serving my cabbage to 275 guests on that day, and my life was forever changed. That day at Tri-County Family Ministries my dream was born. I dreamed that I would grow a healthy end to hunger, one vegetable garden at a time. Ten years have passed since I first donated my cabbage, and I am truly living my dream. Katie’s Krops started in my backyard and has now grown to 100 gardens growing across the United States. Every Katie’s Krops Garden is youth based. Thousands of children across the country are getting their hands dirty working to end hunger in their communities. I am incredibly proud of our young Growers and the impact we have made in the lives of people struggling with food insecurity. In 2018, Katie’s Krops Growers donated over 38,000 pounds of fresh produce to hunger relief programs, cancer centers and directly to families in need. Thank you to everyone who believed in my dream and has supported the efforts of our young Growers. Together we are a powerful force, and I look forward to growing my dream for another ten years.